According to Mustafa Ingham there is no ceiling to his ambitions after setting his aim on becoming a Volvo Ocean Race sailor. Ingham, competed in the Red Bull Youth America’s Cup for Team BDA last summer, is serving an internship with Turn the Tide on Plastic, which is one of seven teams in the Volvo Ocean Race 2017-18. 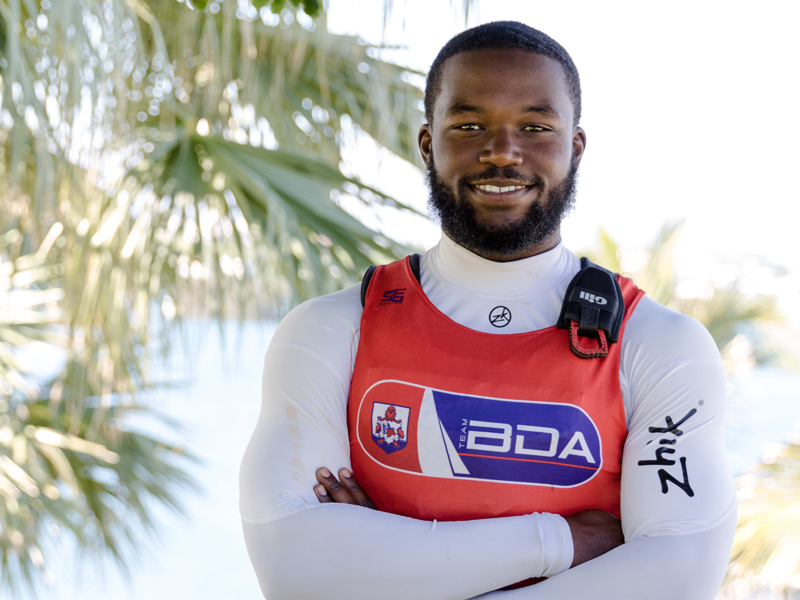 The opportunity has let the 21-year-old sailor, who is started supported by the Bermuda Tourism Authority (BTA) and XL Catlin, to build his craft alongside the most selected offshore sailors in the world. “I have joined the team ‘Turn the Tide on Plastic’ as part of the Volvo Ocean Race Academy (VORA),” said Ingham in a press conference at the BTA on Church Street. He is a keen sportsman, and Ingham was given a push by his grandmother to try out for Team BDA back 2½ years. The wing grinder has helped the local favorite to reach the America’s Cup Finals Red Bull Youth, finishing in eighth overall position. “I have just finished doing the Red Bull Youth America’s Cup (RBYAC) in Bermuda in association with the team BDA and decided that I might also keep the ball rolling and get into this,” added Ingham. The BTA chief executive officer Kevin Dallas, said apprenticeship of Ingham was built on the legacy of the 35th America’s Cup. “This is a great opportunity for one of our own and we take it positively,” said Dallas.